What is Clubes de Ciencia (CdeC)? Clubes de Ciencia, or Science Clubs, is an educational initiative led entirely by graduate students. It’s very simple-once a year, graduate students from around the world are paired with a graduate student based in Mexico to teach a week-long intensive workshop on a scientific subject of their choosing. 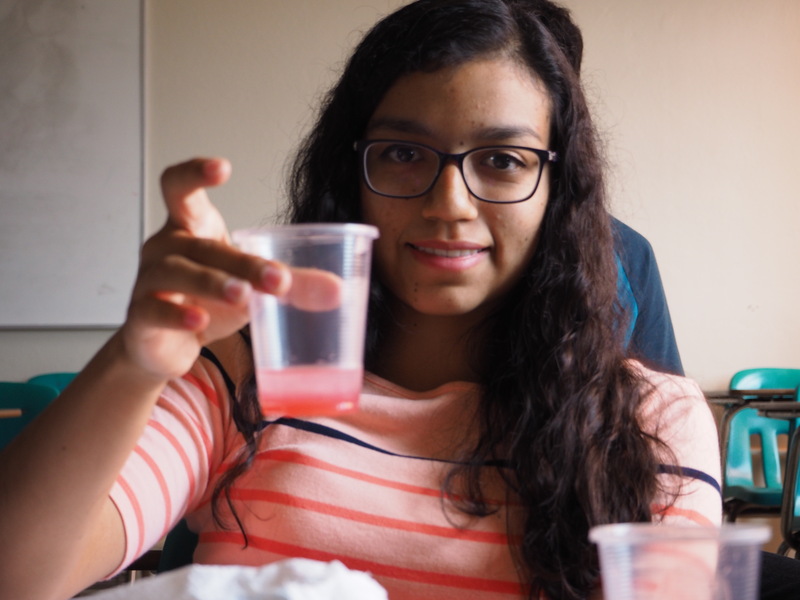 What started out as a small number of Mexican graduate students trying to teach science in our home country has rapidly grown into a major initiative that offers almost 50 workshops in 5+ cities in Mexico. Additionally, graduate students from other Latin American countries have adopted this model, and as a result Clubes is rapidly expanding into other countries, including Colombia and Peru. Even though Caltech is small, I am happy to say that the community has rallied and we are active participants, contributors and planners with Clubes. Below are some of the activities that I’ve had the pleasure of participating in. I would like to share these experiences and ideas with you in the hopes that maybe one day you will also apply! Last year at ASCB 2016, I ambushed Manu Prakash, inventor of the Foldscope, and told him all about Clubes. He loved the idea, and together with Maxwell Coyle and Honomi Ijima we schemed a plan to bring Foldscopes to Clubes. Earlier this year, the team sent us more than 100 Foldscopes and provided training for 5 instructors who will be giving workshops this year! I’m looking forward to hearing what the students have to say about this (I will update this after the workshops happen). Thanks Manu, Max, Honomi and the rest of the Foldscope community for this great opportunity! In 2016, I led a Clubes de Ciencia workshop in Guanajuato along with HHMI Investigator Alejandro Sánchez-Alvarado. We talked about genetics in C. elegans and planarians. When Alejandro showed up, he brought with him a number of planarians for the students to cut up into tiny little pieces, which the students did in short order. See below! 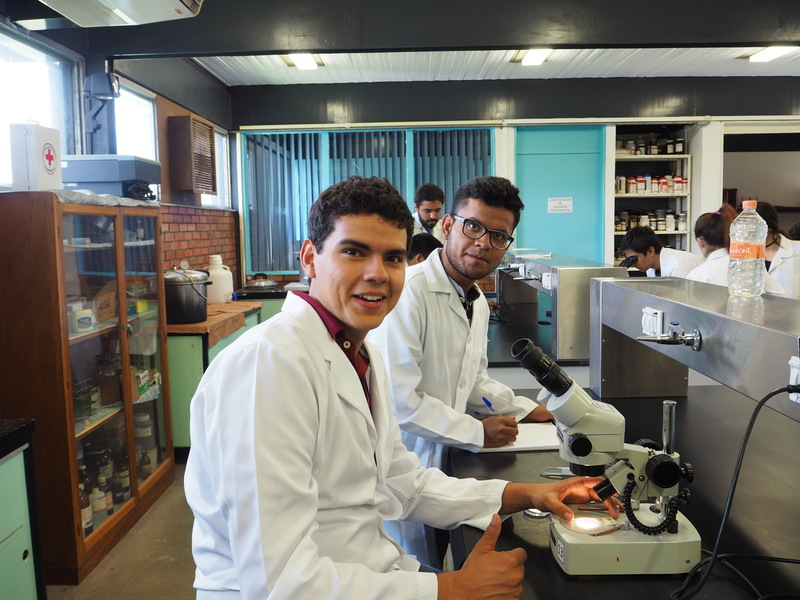 José and Isra, Clubes students, in the lab. 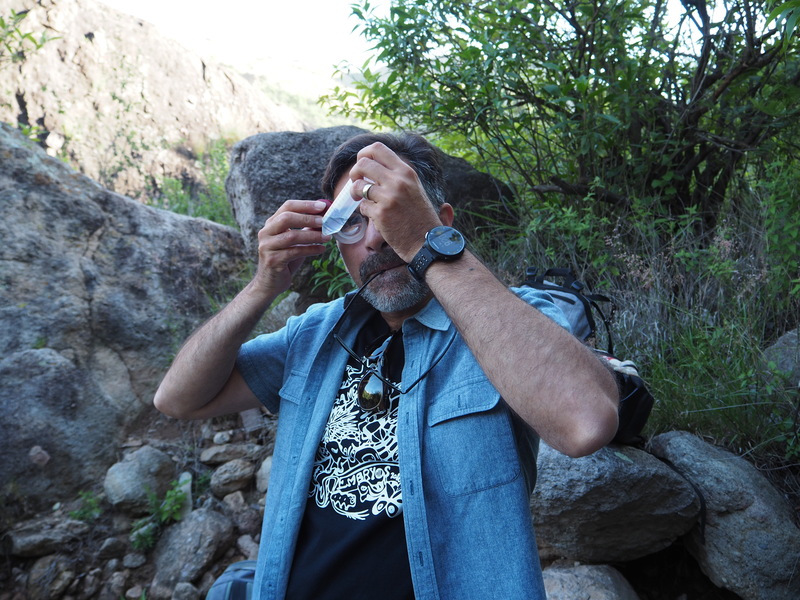 One of the things Alejandro told me he was interested in doing was searching for undiscovered planarian species with our students. We asked the students to point us to places where there was good hiking and plenty of clean running water. Fernando, one of our students, mentioned a dam that had some amenable hiking. So, the following day the class set out to the dam. When we arrived, we hiked for no more than 20 minutes before we were (quite literally) swimming in planarians!!!! 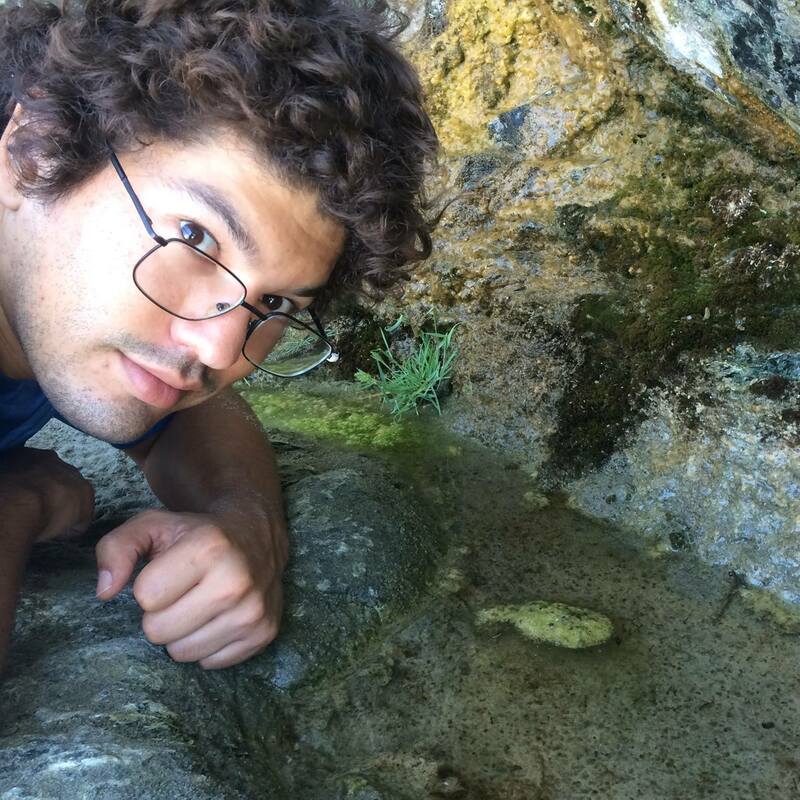 Alejandro looks at wild planarians. Our students out in the field. After the fact, we took the planarians back to the lab, where we studied their morphology, movement, and regenerative abilities. After the course ended, Alejandro took a small number of planarians back to his laboratory for further study. Months later, he confirmed our suspicions: This species has never been previously described! Thanks to his lab, we now have a genome and a transcriptome. Hopefully, at some point Alejandro and his team will get around to writing a paper about this beautiful animal, known henceforth as Dugesia guanajuatensis. Clubes offers two consecutive weeks of workshops. Initially, I was scheduled to give a Club in Guanajuato (see above) and Heather Curtis, my partner and a graduate student in the Caltech Biology program, was scheduled to give a Club, called Entre genes y animales (Between genes and animals), the week before in Ensenada. However, Heather’s instructor had to cancel last-minute. Since Caltech is driving distance from Ensenada, we decided I might as well come along and be her co-instructor for the week as well. Heather had planned an amazing workshop based on animal development, and so we drove into the sunset (ok, not quite) into Mexico. 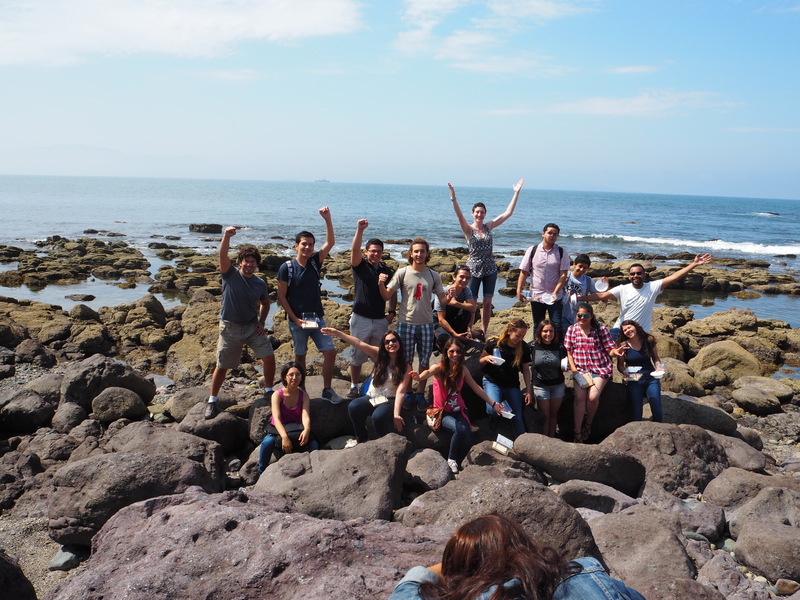 Once in Ensenada, Heather deployed an amazing Embryology course that strongly reminded me of a certain famous course. Our first step was to show students how to extract some DNA from strawberries. Heather had brought a number of embryos from different species with her to Mexico. 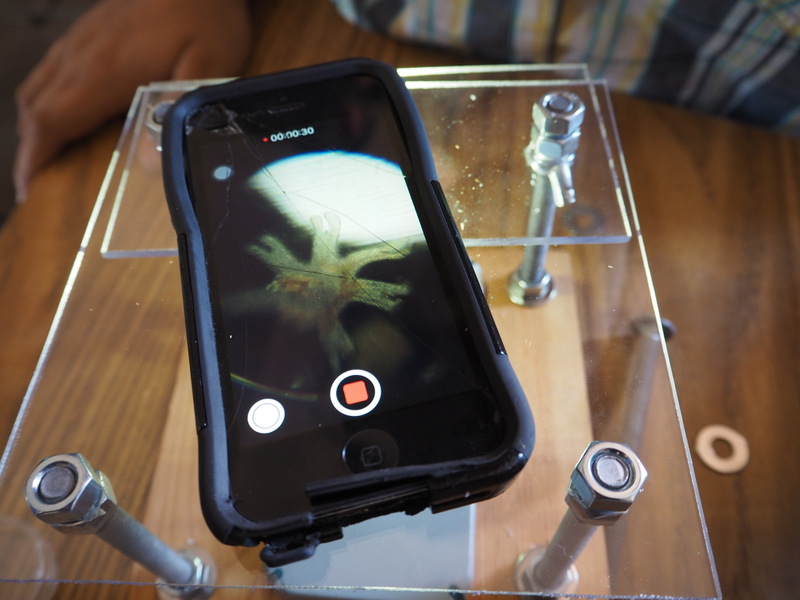 After the students made their own makeshift microscopes, which Heather had designed, we introduced them to various embryos, including Xenopus gastrulating embryos, Aurelia polyps, sea urchins and Drosophila embryos. 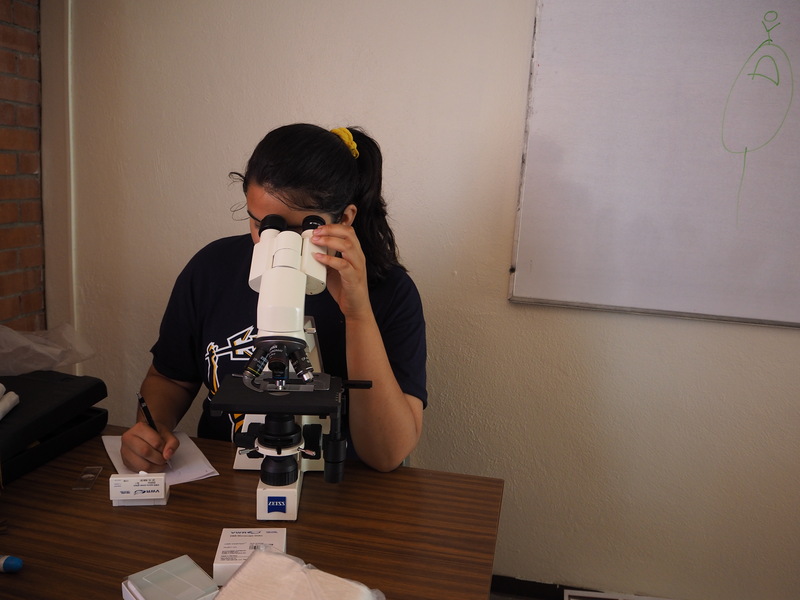 They had a chance to image these animals using both their newly made microscopes or some stereomicroscopes that the University hosting us had kindly provided. Aurelia aurita, imaged by a student. Observations on a stereomicroscope. One of the animals we had brought were planarians, but these fragile animals died during our voyage south. As a result, I led our team into a deep exploration of some tide pools that are next to the university. We found polychaetes, sea slugs, a beautiful flatworm and a lot of anemones. 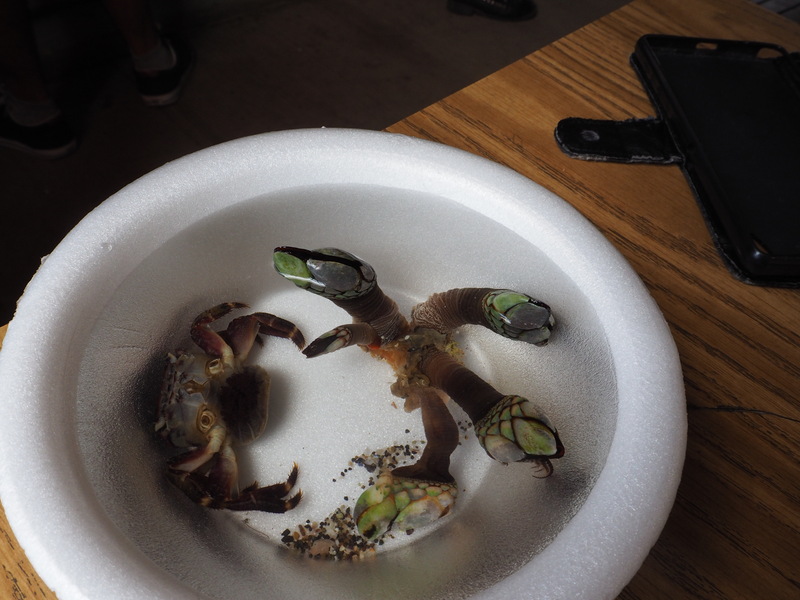 One of our student found a female crab cradling her eggs and a barnacle! We culminated our adventures with a photo of the group at the tide pools. A barnacle and a crab. Entre genes y animales group photo. 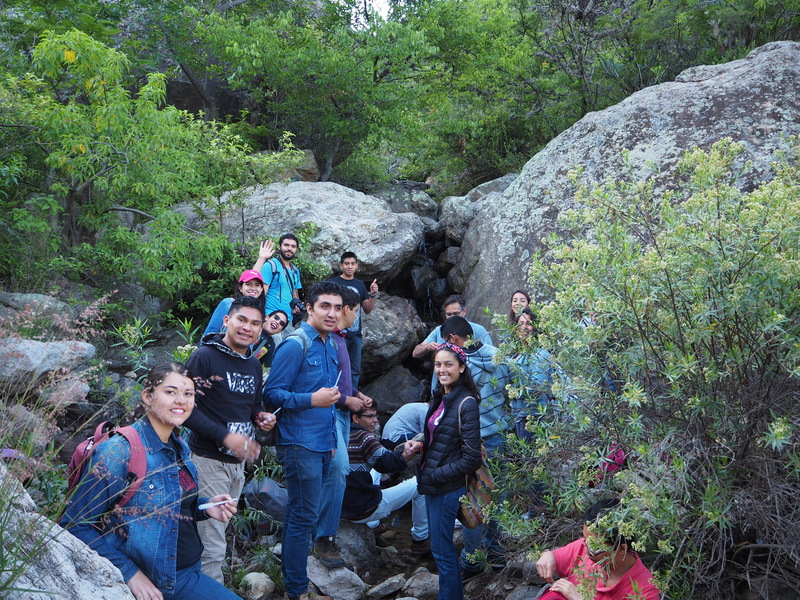 In 2014, Manuel Razo, a Biochemistry and Molecular Biophysics graduate student, who works with Rob Phillips at Caltech gave a workshop in Ensenada called Biología a través de los números. As he was planning the course, he contacted me and invited me to attend as a guest lecturer. Together, we talked Justin Bois and James Boedicker into coming down as well! Justin, James and I drove down from Caltech into Ensenada. Each of us gave a lecture-Justin talked about cytoplasmic flow in the Drosophila embryo, and James talked about microbial communities and ecology. I decided to give a lecture focusing on population genetics and the importance of genetic drift and non-adaptative change. Although cumulatively James, Justin and I only lectured for a day and a half, it was a blast! After we left, Manuel led his students through the basics of guesstimation, statistical mechanics and the quantitative science of gene regulation. The students deeply enjoyed the course. Just recently (in 2016), Manuel has been receiving updates from students who have graduated and are now beginning graduate programs in various parts of the world! It’s exciting and deeply moving to see this movement paying off.